Connecting cars promises many benefits, from saving time (rerouting around traffic jams and towards parking spaces), money (driving in platoon) and providing safety (warning of road hazards ahead of time). Of course, there are also risks, in particularly with respect to safety, due to bugs or malicious activities. But this will not stop progress, and the city of Denver decided to become a testing ground for the connected car. V2X stands for “Vehicle to Everything“. The idea is not just that cars can communicate to other cars, but also to traffic lights and other related elements. C-V2X uses a cellular network for communication. The advantage of this approach (compared to other V2X standards) is the ability for both, direct communication (peer-to-peer), as well as via a central hub. The Denver Post excitedly reports on the expected benefits: Recognizing traffic jams and taking preemptive action in the form of jam warnings or navigation rerouting. It is quick to point out that the technology is not fit to be used for law enforcement or commercial activities, like offering discounts from retailers in the proximity. However, contemporary events like Edward Snowden or Facebook’s handling of data make at least me skeptical. Likewise, the topic of safety is completely absent. 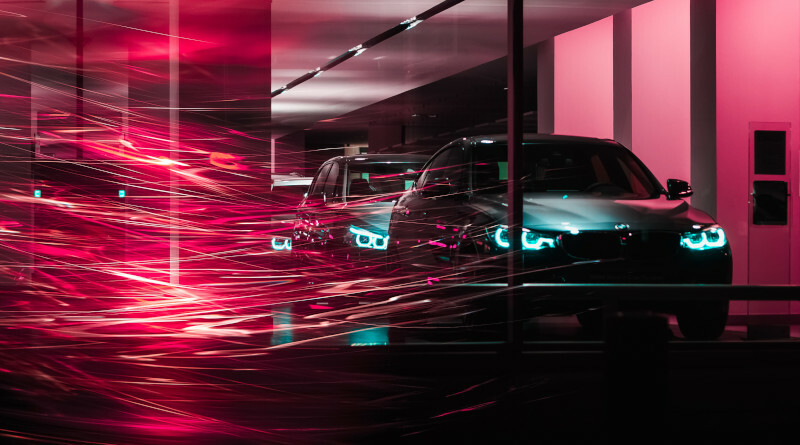 Connected car technology is a perfect example for systems engineering. It involves several systems that are complex in themselves, like cars and traffic signals. There will be hundreds of thousands participants eventually. Systems of systems tend to exhibit unexpected behavior – behavior that cannot be discovered by observing just a single system. For instance, traffic jams are an example of this kind of emerging behavior. The dynamics of a traffic jam cannot be deducted from a single vehicle (without simulation of many). For connected cars to work, a number of hurdles must be overcome. Just to be sure, there is no doubt that they will be overcome eventually: The pie is just too big. The question is, how many setbacks there will be in getting there, and whether these will be deadly or not. Industrial Consortium: No single entity can pull a connected car system off. The participants of the Denver test are Qualcomm Technologies, Ford Motors, and Panasonic North America. For broad adaption, more than one supplier must be available for the categories chipset, software and OEM. For this to work, interoperability is indispensable. Note, however, that we’re talking about safety-critical interoperability. This was (and is) a huge issue with the European Train Control System (ETCS). For a while, trains had to carry multiple controllers, one for each contry, as interoperability was too unreliable. Note that there is also the risk of one partner actively trying to build a monopoly by sabotaging the standard. Safety: Many of the applications cited are for convenience (e.g. rerouting), or at least would not create a hazard if they fail (e.g. warning regarding a traffic jam). But activities like platooning or emergency breaking can become safety hazards if applied incorrectly. Functional safety for systems of systems is a hard problem. Security: Security is an even harder problem, as security breaches typically rely on unknown weaknesses or intruders. There is no doubt that the connected car will arrive soon. There will be great benefits, even to unconnected vehicles. The big question is whether the industry is collaborating to do it right, or whether they are looking for shortcuts, with disastrous results? I am cautiously optimistic: The industry player know what is at stake. Consider the aerospace industry, compared to the power industry. Planes are exceptionally save. This is due (amongst other things) to the fact that people have to physically step into a plane. With a bad safety record, people would fly only in exceptional circumstances. The aerospace industry understands what damage a single incident can do. Compare this to the power plant industry. Power plants are typically out of sight, and citizens never step inside one. Only when disaster strikes that affects many people (Chernobyl, Fukoshima), people (and politicians) act. There must be uncountable accidents, even with fatalities, that occur in power plants. Rarely does anybody care, unless ordinary citizens (and not employees) are affected. Sad but true. Connected cars are incredibly visible to the consumer, like planes. This is a huge incentive for making them save. While it would be nice to hope that they’d be save for ethical reasons, it’s good to know that there is also a commercial incentive.